The Combine will be the main leg of the Cascades tryout process - everyone is invited to compete for a spot on the 2019 roster! Attend both part I and part II if you can, and especially if you’re serious about making the team. The more we can see you compete, the more information we will have to support your tryout. We will make our team selections at the conclusion of the weekend and communicate with tryouts within the following week. Scholarships are available upon request. Email Xtehn; no questions asked. We will play 12 AUDL West Division open games, 2-3 "Cup" women’s games, and 2-3 “Cup” mixed games. Our schedule will be announced in February. REGISTER FOR THE COMBINE AHEAD OF TIME and get updates about the event, including specific directions, "what to bring", and comments about the tryout process. Check-in on Friday night 6pm-7pm: fill out paperwork, pick up your number, get your picture taken, and then get some throws in before we begin at 7pm. Check-in on Saturday night 5pm-6pm: fill out paperwork, pick up your number, get your picture taken, and then get some throws in before we begin at 6pm. Our plan is to give as much individual player feedback as we can over the course of the Combine. If you're eager for feedback, approach a group leader or selection committee member and ask. We are not planning to email personalized feedback about your tryout unless you expressly request it. The Selection Committee consists of Mark Burton, Rohre Titcomb, and Xtehn Frame. The group leaders at the Combine are also part of the process - their input will matter. If you’re new to the Cascades and you can’t attend the Combine, it is unlikely that we will consider you for the team. If you have an unavoidable conflict and you’d like to discuss the possibility of being considered, get in touch with Xtehn immediately and explain your circumstances. 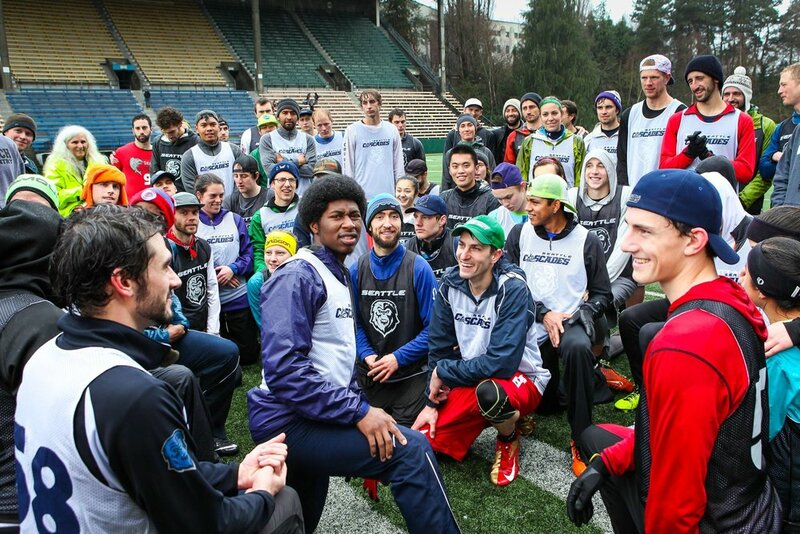 If you have questions about the Combine or the Cascades rostering process for 2019, email Xtehn Frame (xtehn@seattlecascades.com). * GENDER TERMINOLOGY: “Women” or “female athletes” on the women’s and mixed rosters are players eligible for the usau women’s division or for a woman placement in the mixed div. “Men” or “male athletes” are only eligible to play on the Open and Mixed rosters. The Open team is accessible to all genders, without limitations.